WP Bulk Editor is an offline bulk editing plugin for WordPress that lets you make multiple post edits on your website. 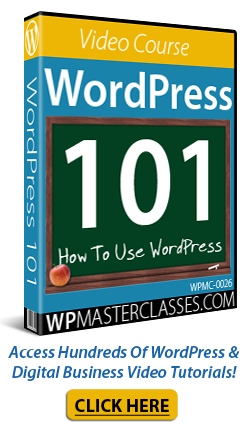 WordPress is one of the easiest and simplest to use CMS platforms. With WordPress, all you need to do is think, write and publish. Whether you run a digital business or a company blog, there is plenty to blog about. In no time at all, you could find hundreds … even thousands of published articles on your WordPress site … especially if you collaborate with others. What happens if, let’s say, after a period of time, you have a couple of hundred of published articles on your website and realize that you have to replace something? If you are a geek who likes playing with code, you could do search and replace changes within the WordPress sql database files. Luckily, if you don’t want to edit code, there is a WordPress plugin that lets you bulk edit your WP posts and pages without having to access mySQL databases and web files. WPBulkEditor is an easy-to-use WordPress bulk editing tool that lets you change thousands of WP posts and pages at once. The WP Bulk Editor plugin is easy to install and simple to use. Once the plugin has been installed and activated, it adds a new section to your WordPress site’s dashboard with similar features to the WordPress Tools > Export/Import area. You simply download a template with all of your site’s information, edit the template’s content and then reupload it with all your changes and your content will be updated. WP BulkEditor lets you make replacements on many posts and pages at once. WP Bulk Editor allows you to do all of your editing tasks offline. This is great if you plan to work in areas where there is no online access, or outsource this job to freelancers without having to give them login access to your WP admin. You can create backups of your WP content in seconds with this plugin. Perfect For Non-Techies: There are just three simple steps to using this WP plugin: exporting the data, modifying the data and saving your changes, and reimporting the file to your website. Import & Export New Content Quickly & Easily: You can easily import and export one or loads of new WP post and pages with the click of a button. Make Bulk SEO Changes: If you use an SEO plugin like WordPress SEO by Yoast, you can quickly make bulk edits to your product SEO fields. Quick and easy to install and configure. Goes to work in minutes. Compatible with other plugins and themes. Works with WordPress SEO by Yoast and e-commerce themes like WooThemes. User-friendly bulk replacement tool. Perform bulk replacements of affiliate links, misspelt words, etc. with no technical skills required. Note: Microsoft Excel is a requirement for opening and modifying exported files offline. Works For Both Windows & Mac Users.WP BulkEditor allows both Windows and Mac users to use the exported .zip file on both operating systems. WP BulkEditor is not just useful for doing mass content editing functions on your existing WP pages and posts. It can also be used to update all of your outdated WP sites. If you have old affiliate hyperlinks pointing to dead destinations, for example, you can easily replace those useless URLs with useful hyperlinks. Here’s a useful tip: Let’s suppose that you finish all posts on your company blog with a call to action that includes asking visitors to contact such and such a person (e.g. “For more information call Lucy on 1234-567890”) and this member quits your team. You can change the name of the departed contact person with the new contact person’s details, and do the same thing for any email addresses, telephone numbers, etc. You can take this idea further and recreate posts with different city names for publishing on different websites! The WP BulkEditor website contains a short video tutorial that explains how to use the plugin, and the developer can be contacted for help, or for suggestions on ways to improve the plugin. Last time we checked, the cost of purchasing WP BulkEditor is $49.00. Note: Pricing details of the WPBulkEditor plugin depends on whether there are any promotions or limited-time special offers. The above reflects the current price at the time this article was written. This may or may not be the actual pricing set by the plugin seller when you visit the plugin website and there may be additional upsells or one-time offers after you’ve purchased. For ”how-to” videos of the plugin in action, including help documentation and tutorials, FAQs, support helpdesk, contact details and more, visit the WP Bulk Editor website. If you need simple and easy-to-use plugin to perform bulk changes on your WordPress site, then WPBulkEditor is a great plugin to consider. It is sold with a 60-day, completely no-risk money-back guarantee, which is backed by the merchant, so no matter what happens, you will be automatically refunded if you’re not happy with your purchase.